Water-less Personal Care Products – the Latest Beauty Trend! Do you happen to be one of those who look behind their beauty care bottle and read through the label to avoid harmful ingredients like Sulphates and Paraben? Well, we bet you never checked it for water. ‘Water check’, what? That’s right. Go ahead and check – you will notice that water is mostly the first ingredient mentioned in all kinds of beauty products. One would assume personal care is one such industry wherein creating a formulation without using water would be quite a task. Considering water makes up for around 70%of most beauty products, the statement does hold true to a large extent. However, In light of the rapidly increasing environmental consciousness and awareness regarding water reduction coming into focus amongst beauty brands, it looks like this is about to change now. According to Mintel ‘s recent report, “Water is the new luxury”, water is on its way to soon becoming a precious commodity for consumers and retailers alike, what with the current consumption far exceeding the supply. This has opened a new door of opportunities for Personal Care companies such as the Finnish brand, Herbina to go sustainable, not just by using natural ingredients but also by reducing the water content in their products. L’Oreal is one brand that has taken up the cause of water conservation seriously, evident from its recent efforts towards the same. As a testimony to this commitment, L’Oreal has pledged to reduce its water consumption to 60% per unit per finished product by 2020. Reducing the water content in beauty products is also a good way to create self-preserving items. 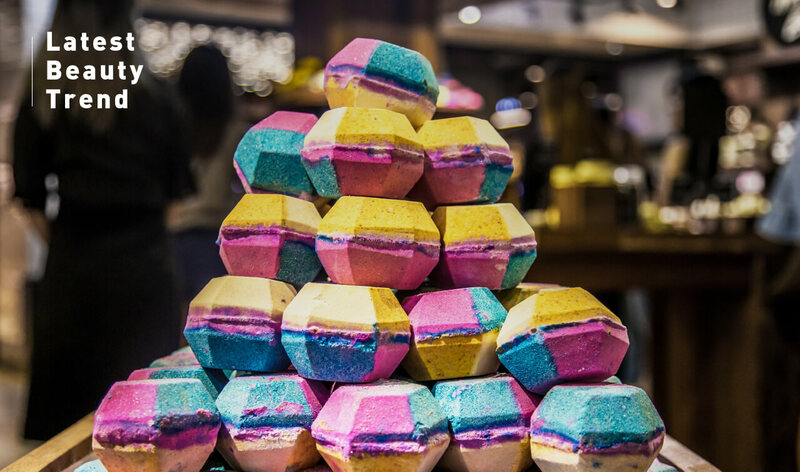 Lush has been a pioneer in this area, offering dry shampoo bars for many years now. As per the brand, “water-based products like shower gels provide the perfect environment for bacterial reproduction. To keep perishables safe and fresh, free water must either be reduced or microbial growth must be controlled with a preservative”. Another theory behind creating water-less products is the increased production of dry or powdered formulas, expectantly easier to travel with. Moreover, this will benefit brands and consumers both – lesser product packaging (and perhaps less packaging cost) and a promise of hyper-fresh actives -with every use. Not surprisingly, this trend originated from Korea, known for its unmatched beauty products. A majority of Korean manufacturers create water-less products, perhaps for the skincare benefits and not necessarily environmental consciousness. One way or the other, water-less beauty is the new buzz word in environment friendly skincare and from the looks of it, it is here to stay.